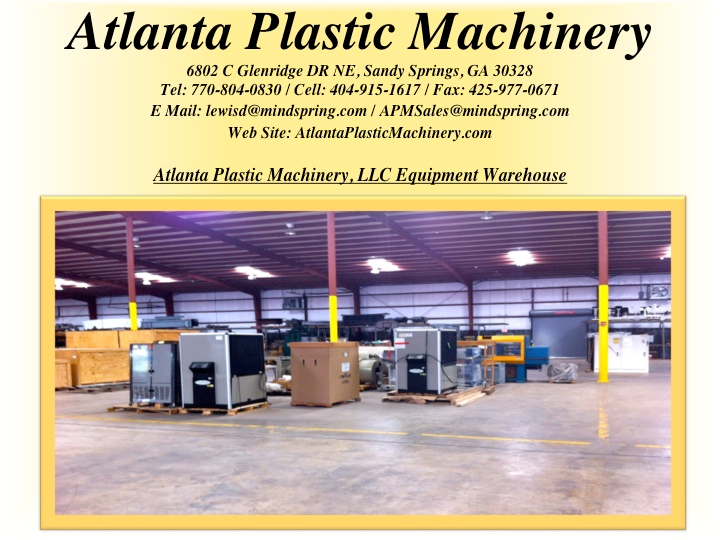 Atlanta Plastic Machinery is your source for the quality Used Plastic Equipment on the market. 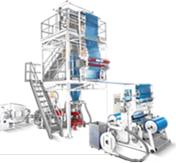 Please review our available equipment and let us know how we can assist you in meeting your plastic manufacturing needs. -Recently Added Equipment- March 18th, 2019. • Brabender 14″ W X 2″ Dia. 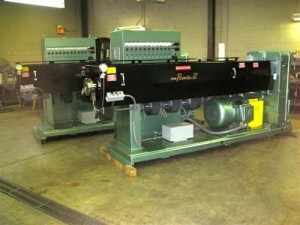 3 Roll Cooling & Polishing Stack With 12″ Cloeren Sheet Die, Winder & Optional Akron Extruder. 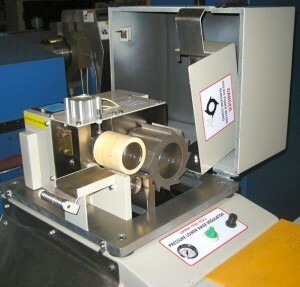 • Akron 3/4″ 24:1 Extruder With Eurotherm Instruments & Casters For Height Adjustment. • Conair TB45-4 Component Gravimetric Batch Blender With 4 Self Contained Hopper Loaders. Mounting Stand Included. Manufactured 2013. Excellent Condition. • RDN Pullers For Profile Extrusion / 10″ Diameter X 14″ Width Rubber Rolls / Rolls Will Open Up To 4″ Clearance. • CMG 14″ X 55″ Granulator / 20 HP / 2″ Diameter Screen Holes / Was Granulator PE Foam Furniture Batting / Great For Light Bulk Density Materials. 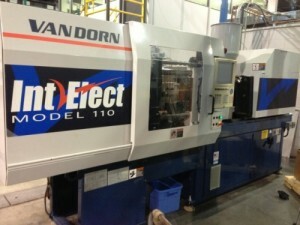 * MULTIPLAS 160 Ton Vertical Shuttle Injection Molding Machine / Mfg. 2008. Machine Was Over Molding Golf Balls. • Killion 1.5″ 34:1 Refurbished Extruder With 3 Screws Included. 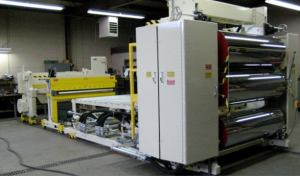 • Wayne Cast Film Line Including a 1″ 24:1 Wayne Extruder, New Sheet Die For .5mil to 3mil Thickness Material, Casting Unit With a Chill Roll Size Of 6″D X 8.5″ W & Film Take Off. 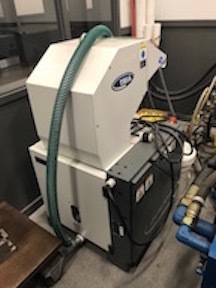 • GALA SLC5 LPU Lab Self Contained Pelletizer System Includes Water System, Pellet Dryer, Water Reservoir & Nordson 2.5″ Vertical Screen Changer With Diverter Valve. Up To 150 PPH Depending On Material. / Manufactured 2013. 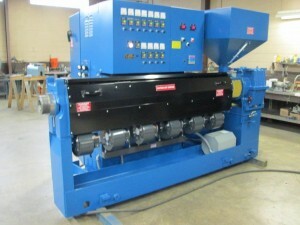 • Scheer Bay Strand Pelletizer. Manufactured 2000. Model SGS 200E. Cemented Carbide Tipped 32 Tooth Rotor. 15 HP Motor. Carbide Tipped Bed Knifes. Rotor Width 7.8″. Spare Roto Included. 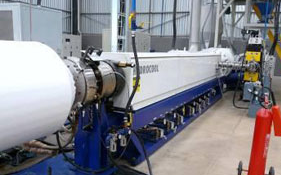 Conair Wortex Rebuilt LP 400 Granulator With 9 Segment Blade Rotor & 16″ X 10″ Cutting Chamber. 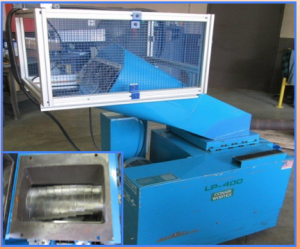 Quality Used & Refurbished Equipment For The Plastics Industry For Over 45 Years. © 2019 Atlanta Plastic Machinery. All Rights Reserved.